Royal Enfield has finally launched its first ABS-equipped motorcycle this week. Called the Classic 350 Signals Edition, it is priced at for Rs 1.62 lakh (ex-showroom Pune). The Classic 350 Signals Edition not only gets colours inspired by the Indian Army Corps who keep our skies safe and our land protected, but also gets the safety net of a dual-channel ABS system. 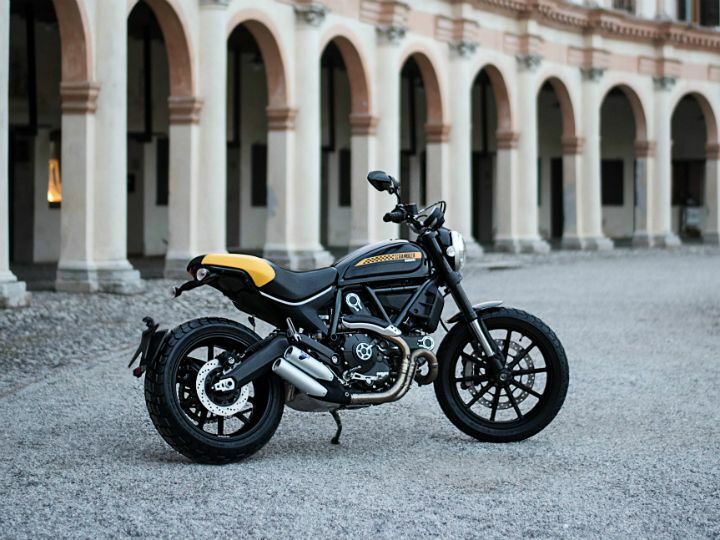 Ducati has launched its flagship Scrambler, the Scrambler 1100, in the Indian two-wheeler market. It’s available in three variants - Standard, Sport and Special - which are priced at Rs 10.91 lakh, 11.12 lakh and Rs 11.42 lakh, respectively (all prices, ex-showroom Delhi). But how much of an upgrade is it when compared to the less expensive 800cc Scrambler Icon? We took the flagship for a spin in Nandi Hills, Bengaluru to find out. Read our first impressions here. Adventure-touring enthusiasts have a reason to rejoice this week! That’s because Suzuki’s dealers across India have officially started accepting booking for the V-Strom 650. The company has set the booking amount at Rs 50,000, with the motorcycle expected to fetch an asking price of Rs 7 lakh to 8 lakh (ex-showroom). The Suzuki V-Strom has received rave reviews internationally for its performance and practicality. With that price tag, it has the potential to give the Kawasaki Versys 650 a run for its money. Looks like we'll have to wait a bit longer for the Royal Enfield’s upcoming 650 Twins. During a recent chat with a top company official, it was revealed that the launch date of the Interceptor 650 and Continental GT 650 has now been pushed to 2019. In the market for a new two-wheeler? Be prepared to shell out some extra moolah. Starting September, it is now mandatory for new two-wheeler owners to opt for a five-year insurance cover up front. The ruling comes straight from the Supreme Court of India which announced that third-party insurance cover for a new car be set for a three year period and five years for two-wheelers. The recent floods in Kerala has caused havoc in the state. To combat auto-related problems, several bike manufacturers, including Bajaj, TVS, Honda, Yamaha, Suzuki and Hero, have announced state-wide service camps and check-ups. Honda is even offering a bonus of Rs 2,000 for those who want to exchange their flood-affected Honda two-wheeler for a new one. Suzuki, on the other hand, says it will assist customers with insurance claim formalities.